Last week, the Reserve Bank of India (RBI) said it is set to bring peer-to-peer (P2P) lenders under its ambit. P2P lenders, most of whom are operating online, typically help borrowers get uncollateralised loans at rates higher than what traditional banks would lend them at. The central bank said it is waiting for a gazette notification from the central government before coming out with guidelines, which would bring a hitherto unregulated segment under its control. And, for good reason, perhaps, since lenders offering uncollateralised personal loans to individual customers and small businessmen have been mushrooming in the last three-four years. But how big is the P2P lending space in India? How many players are there? And, how fast has the segment been growing? Frankly, there are no clear answers. VCCircle spoke to several P2P companies, some of which have been in operation for nearly three years and to experts who track the personal loans market in the country, but none had a clear answer. So, we trawled through the internet and found at least 10 such companies. While there are no definitive markers for size, Faircent—which is backed by financial institutions like JM Financial, venture fund Aarin Capital and Mohandas Pai-promoted 3one4 Capital—is seen as the largest online P2P lender in India. Other names include Lendbox, Rupaiya Exchange and LenDen Club. Industry executives say it was around 2014-15 that online P2P lenders began to come up, and since then they have mushroomed. While the segment remains unregulated, it caters to middle- to lower middle-class borrowers who find it tough to get bank loans for personal reasons or to small businesses, especially in the micro, small and medium enterprises space, according to them. There are typically three models through which such lenders operate, says Aditya Kumar, founder and chief executive officer at Qbera.com, an online lender that began operations in February this year and claims to have a Rs 10 crore loan book. “While there are at least 30-40 P2P players, who connect lenders to borrowers, 15-20 do marketplace lending (where money is raised from banks and other financial institutions) and then there are loan aggregators who have been around for longer,” says Kumar. Qbera has received $1 million in funding from Nitin Aggarwal of IntelleGrow; Suvalaxmi Chakraborty, formerly India head of State Bank of Mauritius and Abanti Mitra and Ruchira Roy of Positron, among others. While P2P lenders typically match borrowers to lenders, marketplace lenders effectively act as intermediaries between borrowers and banks or non-banking financial companies (NBFCs). Sashank Rishyasringa, co-founder and managing director at Capital Float, however, offers a different view. “I don’t think about P2P as an industry. Ultimately, the real story in India is about enabling small ticket loans to segments across the country that have historically struggled to access finance,” he says. Rishyasringa says the term ‘P2P’, which evolved in the US several years ago, is now “outmoded.” “If you follow the literature globally, people generally talk about the marketplace lending model, which basically involves platforms that work with a range of different capital providers, including banks, NBFCs and others, to be able to crack the ‘access to finance problem’ to several segments, in a far more scalable manner than has traditionally been possible,” he adds. Having said that, among themselves, these lenders control a mere fraction of the personal loan market in India. While Kumar says the total P2P lending market size would be around Rs 25 crore, Rajat Gandhi, founder and CEO at Faircent, puts the figure at Rs 50-70 crore on an annualised basis. Even if one includes companies that operate under the marketplace model, executives say it will not be significantly greater than Rs 250-300 crore on an annualised basis. Compare this to the Rs 16,200 crore outstanding personal loan book that banks and other financial institutions had as of 31 July this year, and you begin to see the growth potential that the sector has. In fact, if one looks at RBI’s latest annual report, it becomes apparent that at a time when the overall credit growth is slowing, owing to rising non-performing assets and a general economic slowdown, the personal loan segment grew nearly 19%. In fact, the global P2P lending market is galloping at breakneck speed. Figures available with Peer2Peer Finance Association (P2PFA) suggest that the global P2P lending market saw cumulative lending of £8.5 billion during the first quarter of 2017, against £5.8 billion three quarters before. In the same period, the number of lenders grew by a fifth from 1.5 lakh to just over 1.8 lakh. Although the US, the UK, Europe and China are considered relatively mature P2P lending markets, they have seen their fair share of scams, the most recent being a mammoth $8.6 billion alleged fraud involving Chinese P2P lender Ezubao. All the more reason that the RBI needs to step in, says Harish HV, partner at Grant Thornton India. “The RBI is concerned that this can go big and get out of control,” says Harish. The central bank needs to determine who can and cannot become a lender and what are the capital requirements to become one, besides dealing with systemic risks, he says. In fact, in April last year, the central bank had floated a consultation paper on framing regulations for the P2P lending space, but has, since then, done nothing. While it is tough to speculate on what the RBI guidelines will actually look like, the consultation paper suggests that the central bank could define P2P platforms as NBFCs and could mandate that such platforms register only as intermediaries to limit their role to bringing the borrower and lender together without the lending and borrowing getting reflected on its balance sheet. 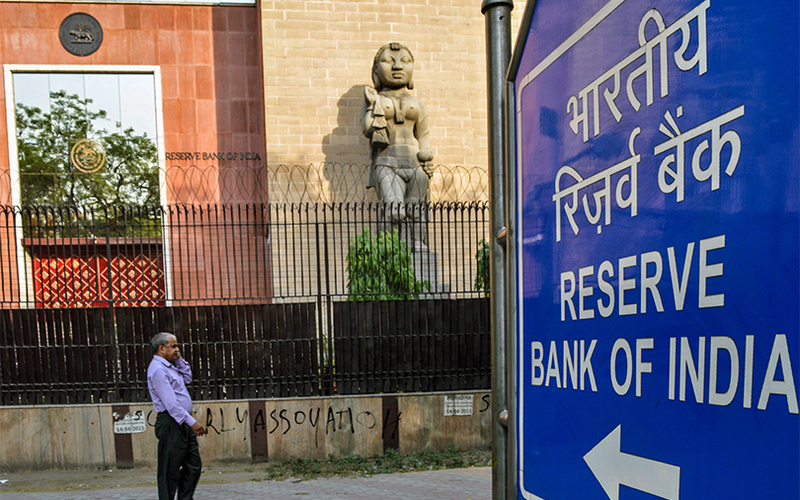 “It will also be mandated that funds will have to necessarily move directly from the lender’s bank account to the borrower’s bank account to obviate the threat of money laundering,” the RBI had noted in its paper.